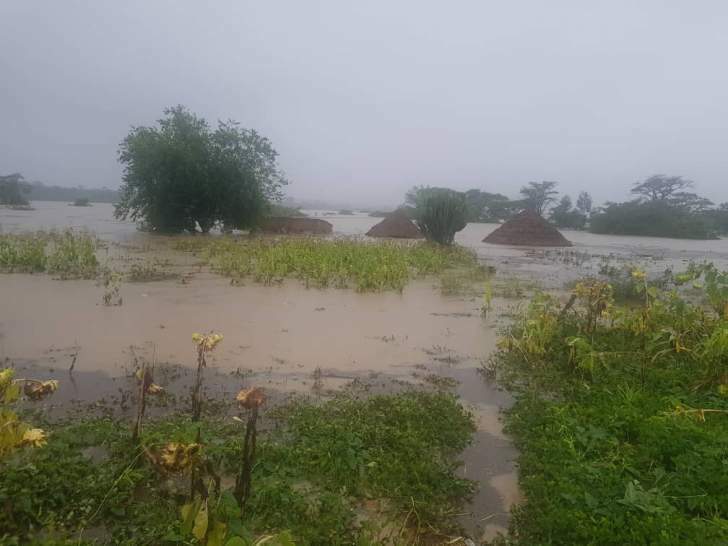 AT least 98 people have been confirmed dead, while 102 others were injured, with 11 719 affected in various ways by Cyclone Idai which hit mainly parts of Manicaland province since last week. The Department of Civil Protection in Manicaland said yesteday that 217 people were reported missing, while 42 others were still marooned, as efforts to rescue them continued to be hampered by the unfavourable weather conditions. The Meteorological Services Department has indicated that the cyclone has since died down and only heavy rains have remained. President Mnangagwa has declared that a State of Disaster exists in all cyclone-affected areas in terms of section 27 (1) of the Civil Protection Act Chapter 10:06 of 1989. "Low clouds combined with torrential rains and windy conditions are hampering operations by air, while the severely damaged road network has impeded access to the affected communities by road," said the Department of Civil Protection. "Chimanimani district has more than 150 houses and eight bridges; Umvumvumvu, Biriiri, Muusha, Silverstream, Machongwe, Charter, Pondo Farm and Mhandarume destroyed by the cyclone." In Mutasa, 24 houses and four toilets were damaged, while in Mutare Rural mud has blocked Leopard Rock Road. Mutare urban has 59 houses damaged, Buhera 30 and Chipinge 234. In Chikomba in Mashonaland East, 68 houses, bridges and roads have been damaged. The Department said some communities sought refuge from some centres that are relatively safe from flooding and mudslides. About 500 people from Chimanimani have sought refuge at Chaminimani Hotel, while 300 are at Ngangu School. The number of the people seeking refuge at Rusitu is not yet known due to access problems. "An official international and domestic appeal for assistance is being crafted," said the department. "The department is appealing for tents, cooking utensils, plastic sheeting, water treatment tablets, clothing, blankets, food items and sanitary wear among other things." The items are being received in Mutare at the provincial administrator's office or Makombe Building in Harare. Tropical Cyclone Idai made landfall in Mozambique on Thursday evening, killing people and damaging property and crops in the process. The Zimbabwe National Army has since rescued some affected people and opened up some detours to enable relief aid to reach the affected, after the cyclone destroyed major roads and bridges in the area. Meanwhile, the United Nations family and other development partners working in Zimbabwe have joined Government in responding to effects of Tropical Cyclone Idai. In an interview yesterday, the UN's communications specialist in Zimbabwe, Mr Sirak Gebrehiwot, said the UN has since dispatched a team of 22 UN personnel to areas most affected by the cyclone. Mr Gebrehiwot said the team would join members of the Department of Civil Protection (DCP), local Government and other implementing partners to conduct a needs assessment, which will give insights into the kind of emergency relief needed. He said the International Organisation for Migration (IOM) has so far distributed 1 000 tents to support affected populations who were left homeless in the aftermath of Cyclone Idai in Chimanimani, Mutasa, Nyanga and Chipinge districts. Mr Gebrehiwot said the World Health Organisation (WHO) pre-positioned seven cholera kits, each having a capacity to cater for 100 people in the two most affected provinces, Masvingo and Manicaland. "Although four have already been used, three are still available," he said. "An additional 28 kits have been mobilised from Ministry of Health and Child Care, and WHO has ordered 117 cholera kits from their emergency hub. "If the need arises, since there is an expected upsurge in cases of cholera and diarrhoea, WHO is on standby to fast-track the order so that the kits arrive sooner." Mr Gebrehiwot said as far as essential medicines were concerned, the Ministry of Health and Child Care sent 90 percent of medicines requested by Manicaland province. He said the UN Population Fund (UNFPA) has also distributed 2 000 kits including wrappers, napkins for lactating mothers and their babies and dignity kits that include sanitary pads. The Unicef has prepositioned water, sanitation and hygiene kits which comprise water purification tablets, soaps, toilet bars, buckets, jerrycans, and knapsack sprayers. Mr Gebrehiwot said the WFP had sufficient food for the affected population, but emphasised that the ongoing needs assessment will provide humanitarian actors with the actual numbers.